Outside the Box: Christmas Greetings! I coloured the wordart in Photoshop then mounted it onto some satin gold card, the ivy die is from Joanna Sheen (I used a bit of cropping on this one) and the bauble is a Marianne die that was free on this month's Cardmaking & Papercraft! Why not join in this fun challenge and get some Christmas cards made while you're having fun! This is just so beautiful. 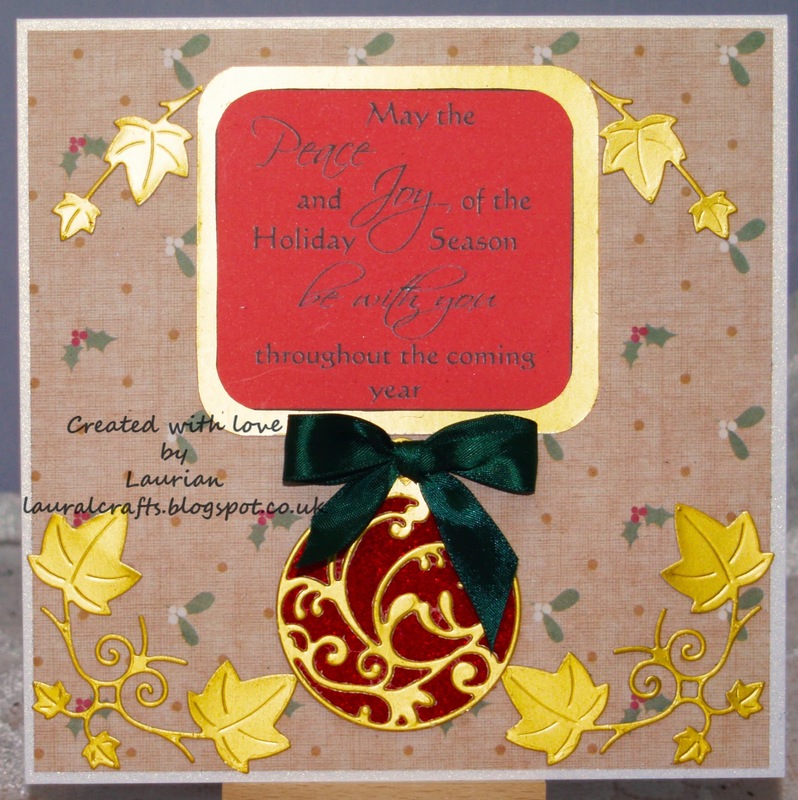 Loving the gold touches and the festive ornament. Thank you for taking the time to use this month’s free Christmas image. You have automatically qualified to receive next month’s Christmas image for free, which will be emailed to you at the beginning of November.